Snoring and sleep apnea may not sound like dental issues, but dentists can actually help patients suffering from these problems. Sleep is a very important part of a fruitful and happy life. Celina, TX dentist, Dr. Angela Ganjoor, will challenge you to a quiz on the condition of obstructive sleep apnea (OSA). Q1. 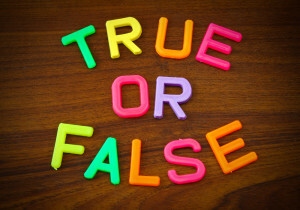 True or false – There is only one form of sleep apnea. Q2. True or false – Heart disease and diabetes have both been linked to OSA. Q3. True or False – Most patients find oral appliances more comfortable then CPAP machines for treating sleep apnea. Q4. True or false – You are at a higher risk for sleep apnea if you are a male over 40. A1. FALSE – Obstructive sleep apnea (OSA) occurs when soft tissues block your airway during the relaxed state of sleep. Dr. Ganjoor can help you with OSA by fitting you with an oral appliance that will help keep your airways open. Central sleep apnea is a condition of the brain, and should be brought to the attention of your general doctor, if suspected. A2. TRUE – Heart disease and diabetes have been linked to sleep apnea, which is more prevalent in overweight individuals. Maintaining a healthy weight can greatly reduce the risk of all three of these dangerous conditions. A3. TRUE – CPAP machines may work best for some patients, but can be cumbersome and distracting, defeating the whole purpose that they have, which is to help you get a good night’s sleep. 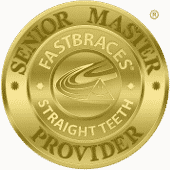 The oral appliance we can design for you will pull your jaw forward, gently, keeping your airway open without having to wear an entire mask hooked to a noisy machine. A4. TRUE – Sleep apnea can affect any demographic, but there are certain predictors for higher risk. In addition to men over 40, and people that are overweight, individuals with gastroesophageal reflux, allergies, sinus problems and deviated septums are more likely to struggle with OSA. Sleep apnea can have a negative effect on nearly every aspect of your life. Proper sleep is one of the greatest tools in striving for good health. If you are in need of sleep apnea help, contact your Celina, TX dentist at our 75009 dentist office by calling (214) 851-0130.